blend of elegance, parody, and tenderness. Hithough the term ''the Enlightenment'' refers specifically to the philosophy of the 18th century, it has often been applied more generally to the culture of the age. 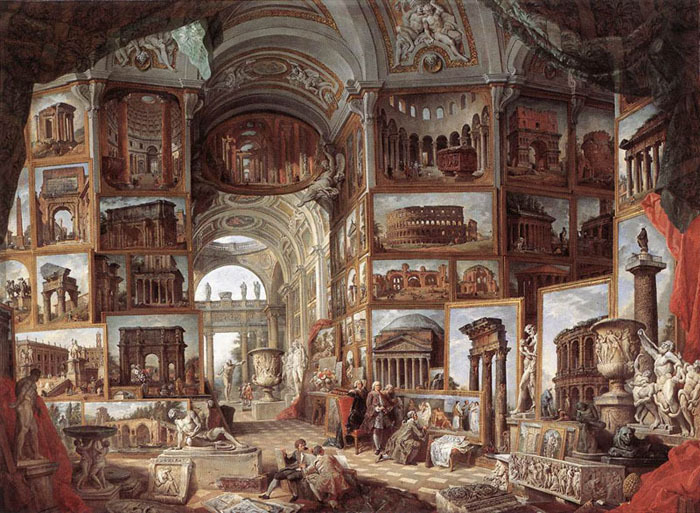 Faith in the powers of reason and the importance of scientific research was implicit in all intellectual and cultural activities - including the various disciplines of art. to architecture and the decorative arts. The term "Rococo", derived from the French rocaille, was originally applied to a type of decoration with asymmetrical, sinuous, and convoluted lines. Later, the name acquired a deliberately mocking connotation. 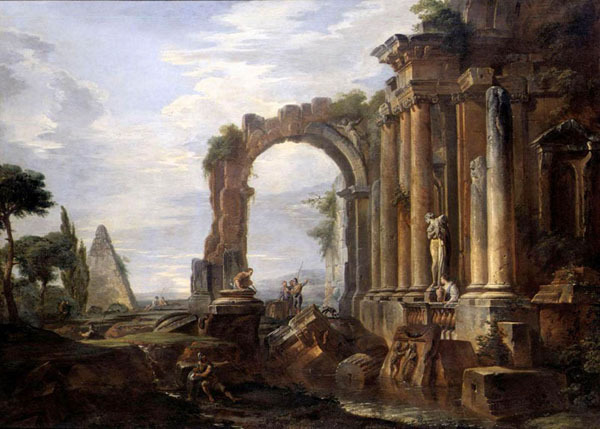 Strictly speaking, rocaille denoted an agglomeration of stones, whether real or artificial, shells, and other materials that mimicked natural objects and structures. Stylistically, it was inspired by shapes and objects found in nature, usually complementary to Arcadian themes, and congruent with the tastes of the fashionable and elite circles. Through the contribution of Juste-Aurele Meissonnier (1695-1750), an aesthetic theorist and designer, the Rococo style became highly in vogue during the Regency of the Duke of Orleans (1715-23). It reached its peak, however, during the reign of Louis XV (1743-74). when it influenced every form of artistic activity and became synonymous with the Pompadour style, named after the king's famous and highly influential mistress Madame de Pompadour. Although travelling for pleasure and instruction was already enjoyed by the privileged classes, the 18th century saw a rise in the popularity of the Grand Tour. This was a tour of the chief cities and sights of Europe to complete a young persons education. The favourite destination was Italy, of their travels. They purchased original paintings or less expensive copies and commissioned new works. Venetian townscapes were highly sought after, especially those by Canaletto, as were views of famous cities, Rome and Naples in particular. 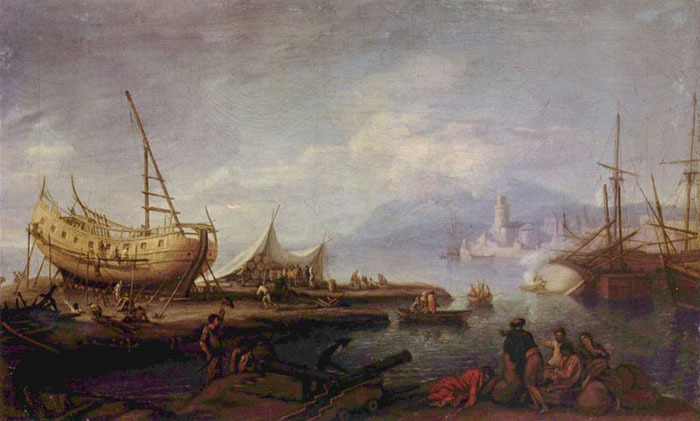 Heroic-scenes and Arcadian landscapes were also very popular, as were views of contemporary festivals and street scenes, such as those by Joseph Heintz (1600-78), Philipp Hackert (1737-1807), and Giovan Paolo Pannini. (b Augsburg, c. 1600; d Venice, 24 Sept 1678). Painter and etcher, son of Joseph Heintz. He served his apprenticeship (1617–21) as a painter with his stepfather, Matthäus Gundelach, in Augsburg. His artistic beginnings are traceable in drawings produced in Augsburg (e.g. the Painter at his Easel, 1621; Gdansk, N. Mus. 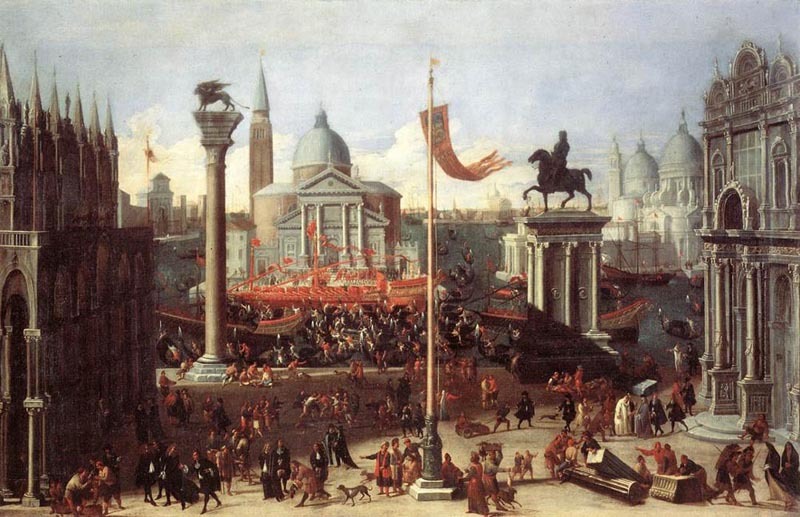 ), and Venice (e.g. 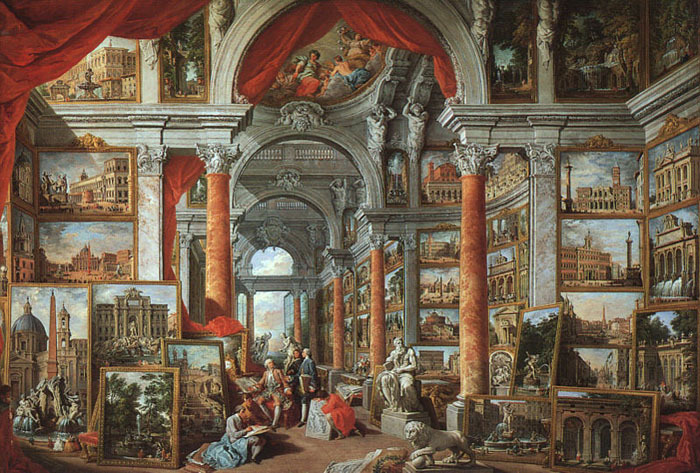 Genius of Painting, 1625; Vienna, Albertina). His great panel painting Christ in Limbo (late 1620s or early 1630s; sold London, Sotheby’s, 6 July 1994, lot 4391) bears witness to his conversion to Catholicism, without which he could hardly have established himself in Venice. He probably spent long periods in Rome in the 1630s or 1640s, and before 1644 Urban VIII made him a Knight of the Golden Spur. 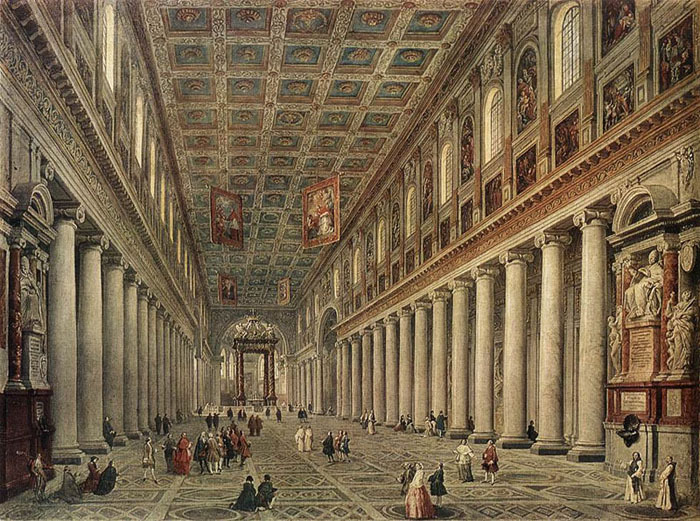 Many of his paintings on religious themes, including works supporting the Counter-Reformation, were predominantly for churches in Venice and its dominions. However, his special importance for Venetian painting lies not in the field of religious art but in his depictions (mostly Venice, Bib. 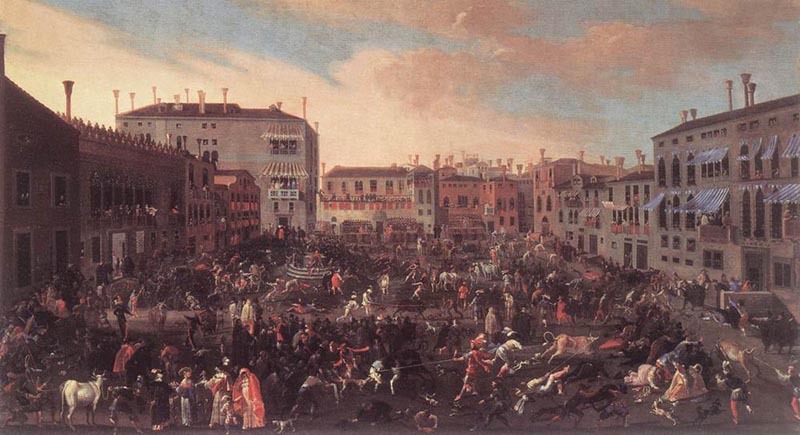 Correr) of the city’s festivities and state ceremonies, featuring large numbers of figures, in which he was a direct precursor of Luca Carlevaris and Canaletto, as revealed especially in his Piazza S Marco (after 1640; Rome, Gal. 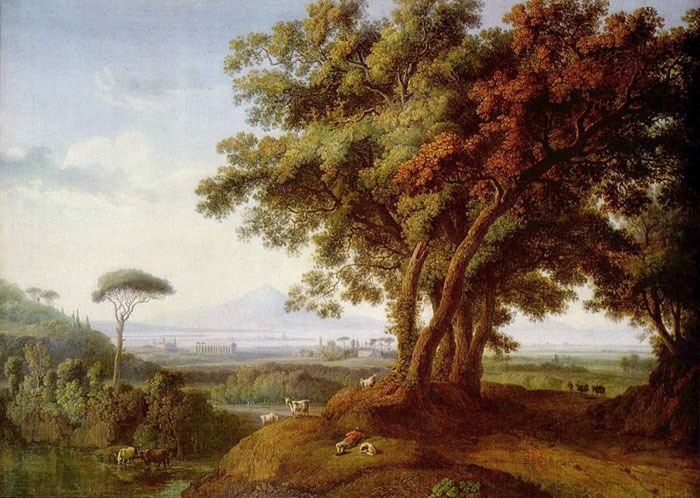 Doria-Pamphili). Presumably he knew of the similar endeavours of his cousin Joseph Plepp (1595–1642) in Berne. He also produced genre paintings, such as the Fishmonger (1650s; Italy) votive pictures, including the Adoration of the Magi (?1669) and Sacra conversazione (1669; both Breguzzo, S Andrea); allegories, for example the Allegory of Venice (1674; Vienna, Ksthist. Mus. ); pictures showing the activities of the months and mythological scenes of which there is so far only a literary record. 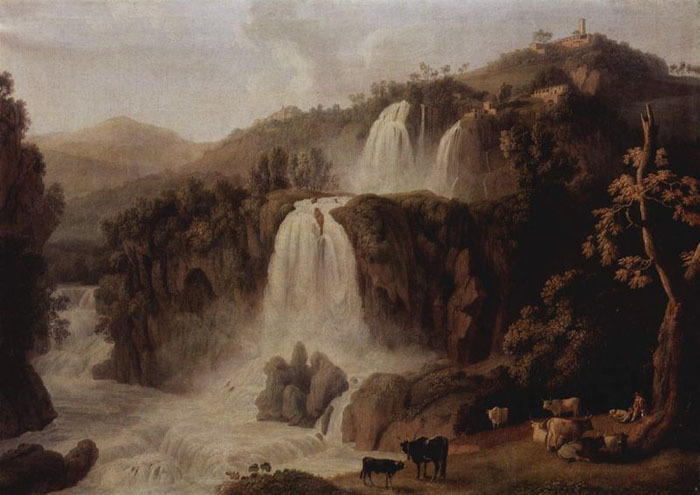 (b Prenzlau, 1737; dSan Pietro di Careggi, 1807). He studied first with his father, Philipp Hackert, then from 1755 with Blaise Nicolas Le Sueur at the Berlin Akademie. 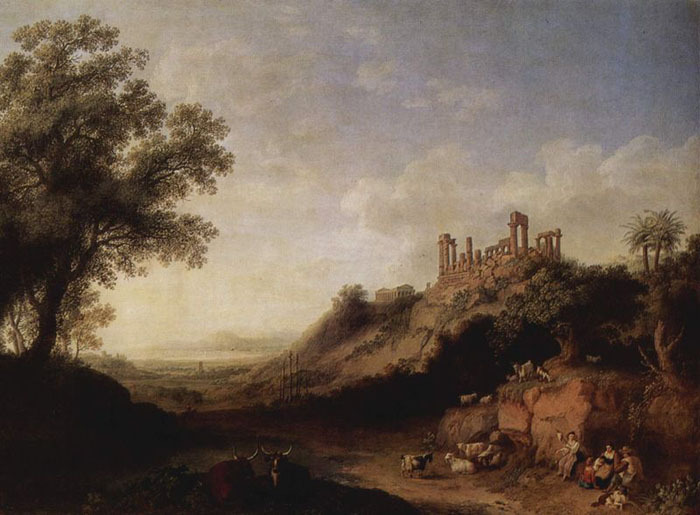 There he encountered, and copied, the landscapes of Dutch artists and of Claude Lorrain. 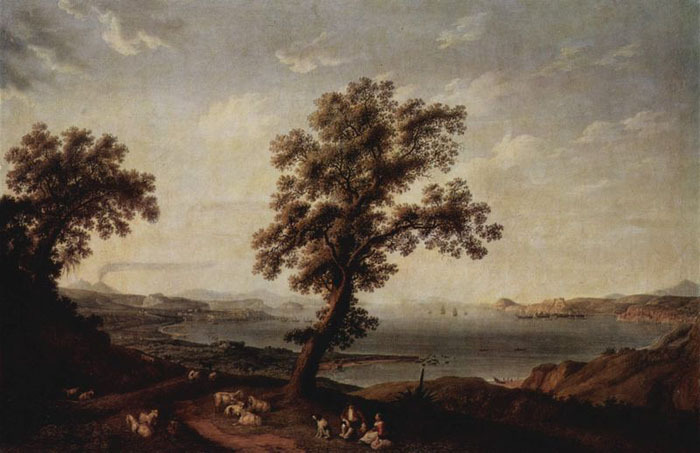 The latter influence shows in two works exhibited in 1761, views of the Lake of Venus in the Berlin Zoological Garden (versions of 1764 in Stockholm, Nmus.). These much admired paintings retain a rather rigid late Baroque style. Hackert’s main interest in these early works was to arrive at a special understanding of a place through alternate views, with reverse directions of observation. This systematic documentation bears witness to his interest in the study of nature. (b Piacenza, 17 June 1691; d Rome, 21 Oct 1765). 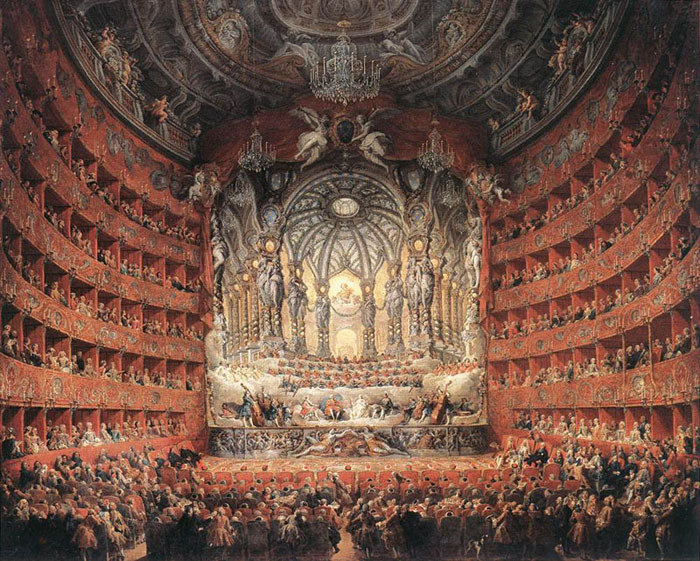 Italian painter, architect and stage designer. 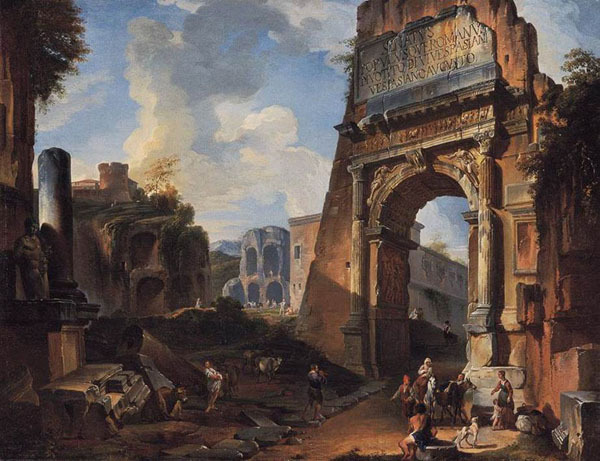 He was a highly prolific and versatile painter, best known for his numerous vedute of Rome, many of which focused on the remnants of the city’s Classical past. Ceremonies and festivals often feature in his vedute, which thus constitute a lively documentation of contemporary topography, lifestyle and customs. 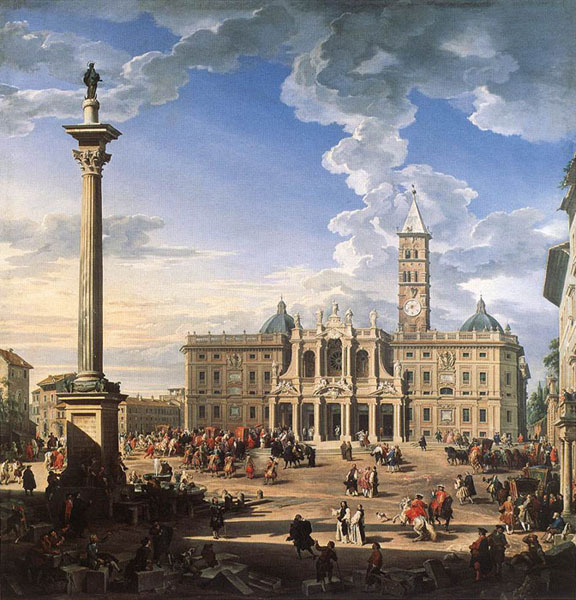 In contrast to Bernardo Bellotto and Gaspar van Wittel, his treatment is picturesque rather than rigorous; he liked to enliven and animate his views by adding numerous figures. 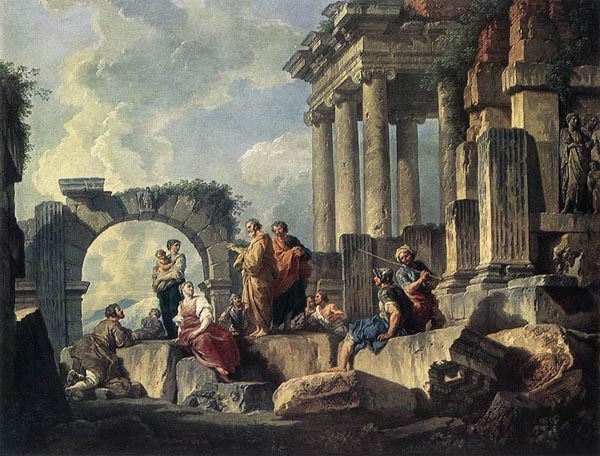 He worked exclusively in Rome and by the end of his career was the head of a thriving workshop that included the Frenchman Hubert Robert (in Rome from 1754) and Panini’s son Francesco Panini (b 1738).